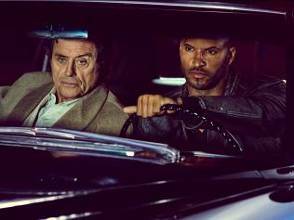 One of the most striking, controversial and utterly absorbing TV events of the year becomes the home entertainment hit of the summer as AMERICAN GODS comes to Blu-ray and DVD from July 31st, 2017, courtesy of STUDIOCANAL. When Shadow Moon is released from prison, he meets the mysterious Mr. Wednesday and a storm begins to brew. Little does Shadow know, this storm will change the course of his entire life. Left adrift by the recent, tragic death of his wife, and suddenly hired as Mr. Wednesday’s bodyguard, Shadow finds himself in the centre of a world that he struggles to understand. It’s a hidden world where magic is real, where the Old Gods fear both irrelevance and the growing power of the New Gods, like Technology and Media. Mr. Wednesday seeks to build a coalition of Old Gods to defend their existence in this new America, and reclaim some of the influence that they’ve lost. As Shadow travels across the country with Mr. Wednesday, he struggles to accept this new reality, and his place in it. Based on the critically acclaimed international best-selling book by Neil Gaiman (‘The Sandman’, ‘Coraline’), AMERICAN GODS comes to Blu-ray, DVD and digital download via TV powerhouse showrunners Bryan Fuller (Hannibal, Pushing Daisies) and Michael Green (Heroes, screenwriter of Logan, Alien: Covenant and Blade Runner 2049). With an all-star cast that includes Ricky Whittle (The 100, Hollyoaks) as Shadow Moon; Ian McShane (Deadwood, Ray Donovan) as Mr. Wednesday; Emily Browning (Sucker Punch, Legend) as Laura Moon and Pablo Schreiber (Orange Is The New Black) as Mad Sweeney. 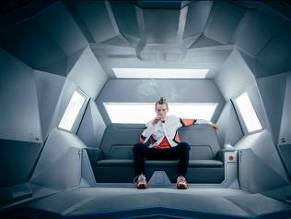 An epic tale rooted in an alien and yet familiar landscape, AMERICAN GODS represents a perfect storm of creativity that sees Fuller and Green at the dizzying height of their powers. Alongside Gaiman himself, they’ve brought a world to screen that is the stuff the most fantastical, shocking and absolutely riveting box set dreams are made of.